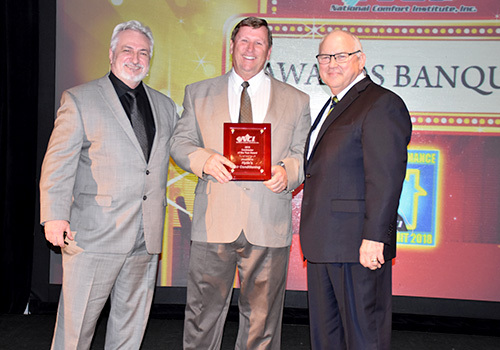 • Electric & Gas Industries Assoc. 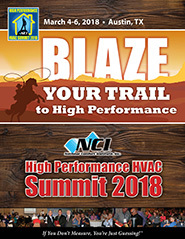 The only event of it's kind, Summit is completely focused on High Performance HVAC. 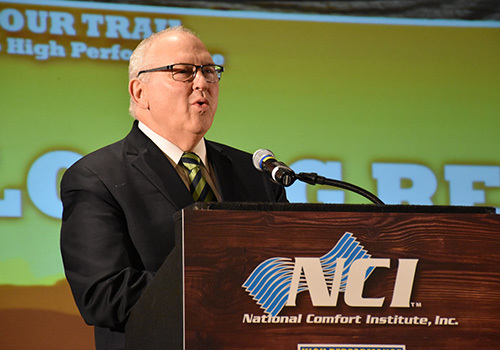 This conference is open to the entire HVAC industry, Summit is an open, welcoming gathering of like-minded HVAC contractors who are open and willing to share with their fellow performance-based professionals. 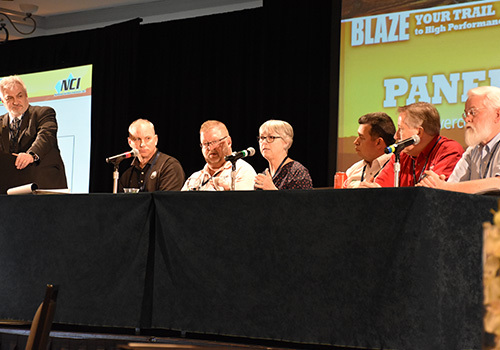 Our "Trailblazers" theme in 2018 is echoed throughout the conference. 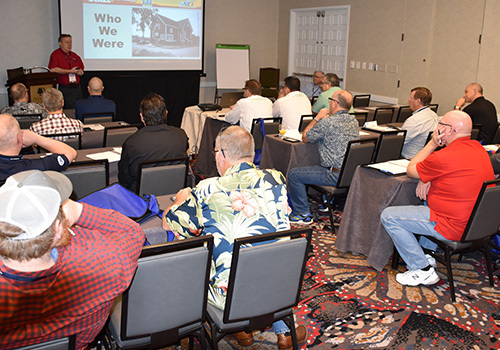 Including being reflected in the breakout sessions - where each breakout session was led by contractors like yourself. 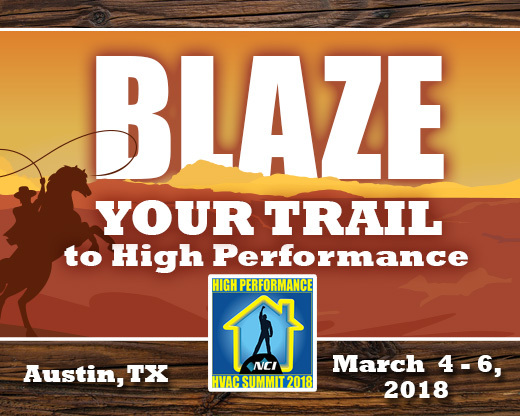 These trailblazers will share with you their successes, strategies, and how they overcame their failures as they continue on this journey. The theme is more than a catch-phrase. It truly embodies the spirit and goals of this one-of-a-kind event. 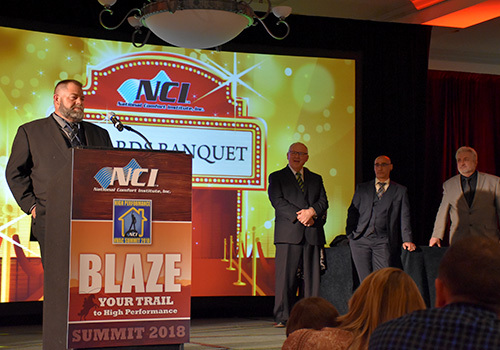 Our featured speakers focused on a different aspect of selling and delivering high performance HVAC systems with a special focus on Air Upgrades - the latest "product" NCI has helped its members and students deliver to end customers. Air Upgrades are designed to surgically address and solve many indoor comfort, air quality, safety, and energy efficiency issues in homes and buildings. Every single attendee attended every single session! No one had to decide which session to go to and which ones you have to miss. 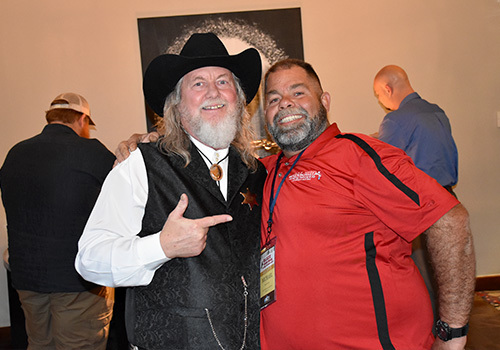 Summit 2018 was set up so that you and your team were able to participate fully and not have to worry about missing out on any of the many exciting events. 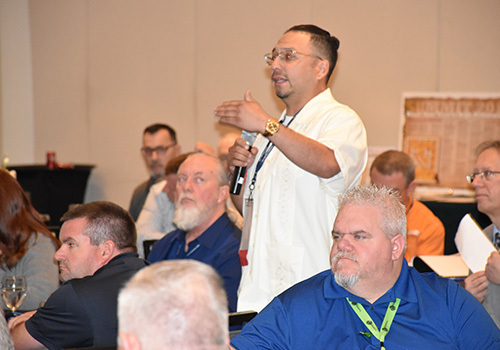 Also at Summit 2018; great general sessions, roundtable discussions and much more! 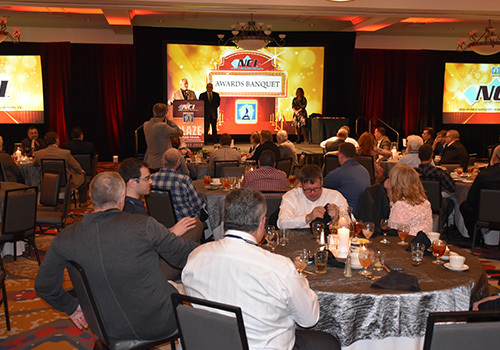 Attendees have the opportunity to join fellow contractors and share their latest and greatest ideas AND have a chance to win CASH prizes! 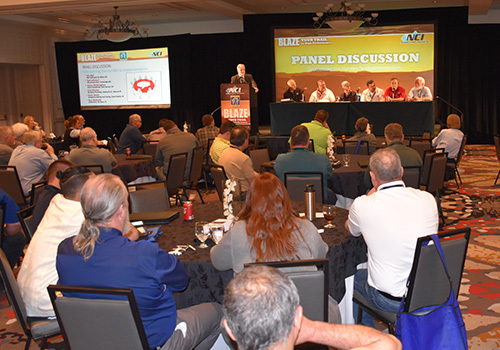 All contractor attendees are invited to present their ideas. ALL participants were winners, whether they choose to present an idea or not, as they benefitted from hearing all of the ideas shared in this learning environment! The Idea Meeting this year is divided into three consecutive sessions, each taking about 30 minutes. 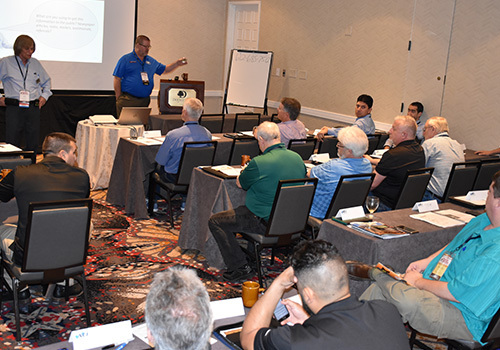 Each session focuses on one of the following categories: Lead Generation, Sales Approach and Product Delivery – The key elements of your success in Home and HVAC Performance. Contractors present their best ideas on company practices, marketing, departmental processes, etc., in each of these categories! 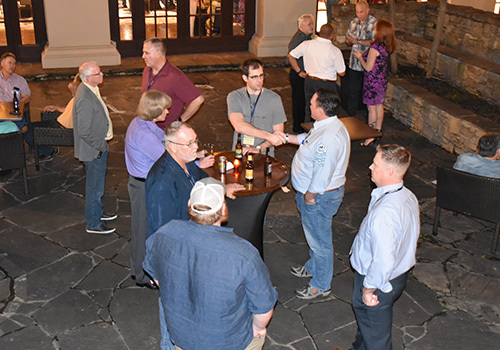 This high-energy meeting is a perfect chance to hear fresh ideas from other successful contractors. It certainly stimulates additional conversations between peers. The $20 cash entry fee, per attendee, is used to reward presenters of the best ideas! Three First Place Winners, one from each category, are voted on by all attendees in the Idea Meeting. All cash collected from entry fees are split among the winners! 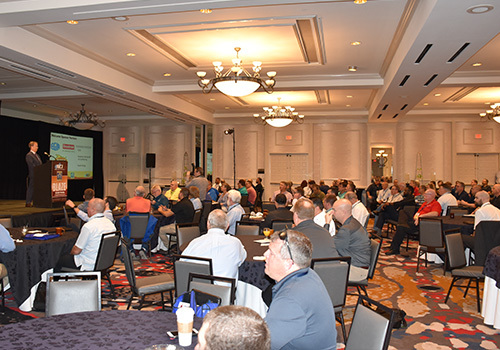 Our Member Rewards Partners help make your membership and this conference possible. 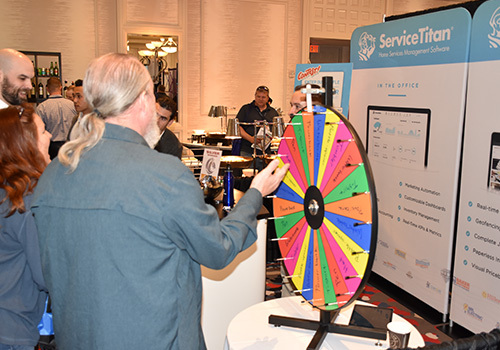 Show your appreciation by attending the trade show events. Who knows? You might find that next great product or idea! This long-standing tradition is one of the highlights of every Summit. 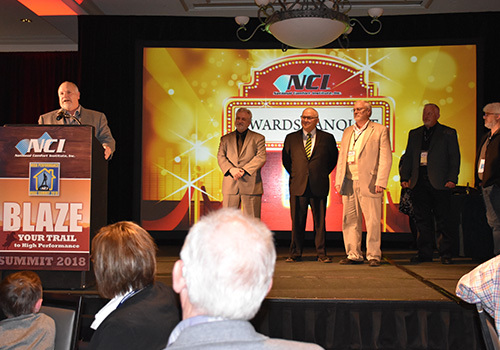 Join us in honoring the best of the best NCI members. You may be one of them! 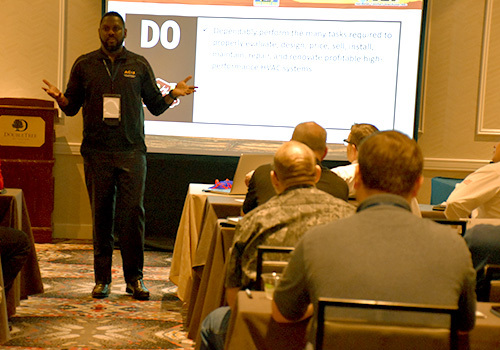 At past Summits you told us you wanted to be able to attend all sessions, and we listened. 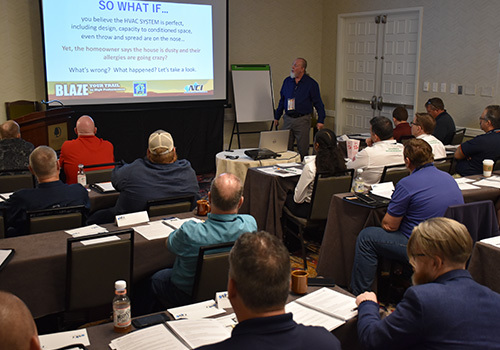 This year you and your team will travel through each of six workshops in groups so they get a chance to attend every session. Learn how you can deliver high-integrity HVAC systems, combined with Indoor Air Quality (IAQ) solutions, to address your customer's unique needs. Presented by Contractor John Ellis, So Cal Air Dynamics. How do you discover duct renovation opportunities? 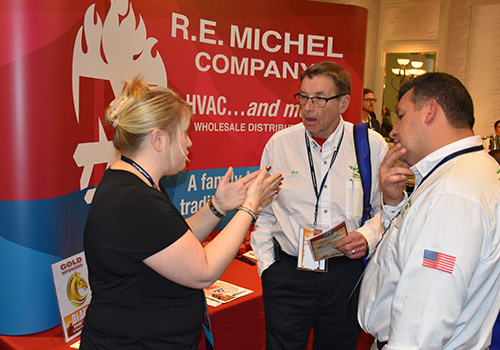 Vince will walk you through multiple case studies and why your perception about how to solve airflow issues mught need to change. Presented by Contractor Vince DiFilippo, DiFilippo's Service Co. Using principles outlined in Jim Collins' book, "Good to Great," Kevin will discuss how he and his key leaders successfully rolled out this new business approach and overcame challenges at all levels of the company – including the very top. Presented by Contractor Kevin Walsh, Schaafsma Heating & Cooling Co.
ComfortMaxx Air™: Put It To Work! Learn what it takes to get started putting ComfortMaxx Air™ to work in your company. 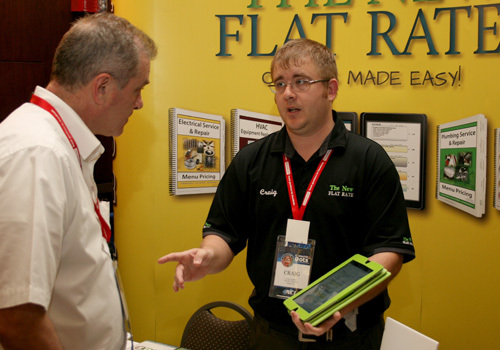 Including real-world examples how to help customers understand how their HVAC system is doing. Presented by Contractor Nathan Copeland, Copeland & Son AC & Heating Service. 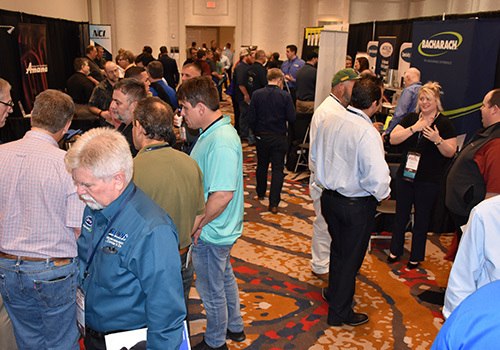 Learn how you can become the "Go-to-Guy" for resolving carbon monoxide issues in your marketplace. Presented by Contractor Tom Johnson, TM Johnson Bros.
You Too Can Sell High Performance HVAC - If You Just Do It! 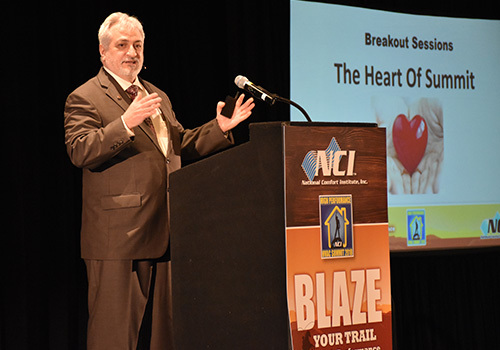 Leave your preconceived notions at the door so you can learn a more thorough way to profitably resolve customer safety, health, comfort, and energy efficiency concerns. Presented by Contractor Eric Johnson, AC by Jay.